The Specify Calculation dialog when you choose "Replace with calculated result" on the Replace dialog. 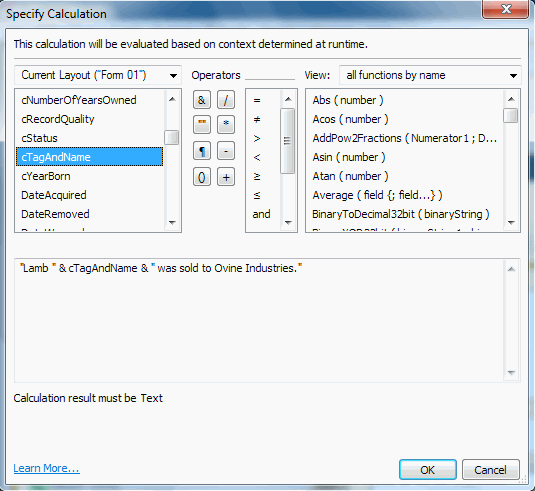 You can change the contents of a field according to the logic of a calculation that you specify. Advanced users will find abundant power in FlockFiler Lite to work with their data.